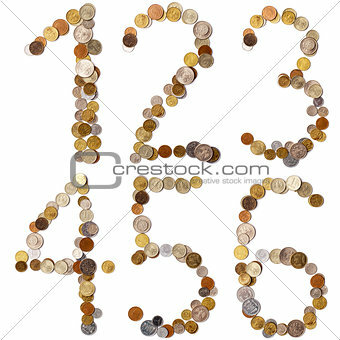 Image Description: 1-2-3-4-5-6 alphabet letters from the coins of different countries. Each letter is a different shot, each 3888 x 2592 pixels. Isolated on white background with drop shadows.